Things continue to be tough financially as I continue to look for a full time job and now I’m waiting to find out if my contract will be renewed. I’m still struggling to get enough hours to make ends meet, but I’m trying to be positive about it all and I just keep keepin’ on. So in the event of impending financial ruin I’ve been trying to make some extra cash and I’ve found that people really do appreciate hand knit items. 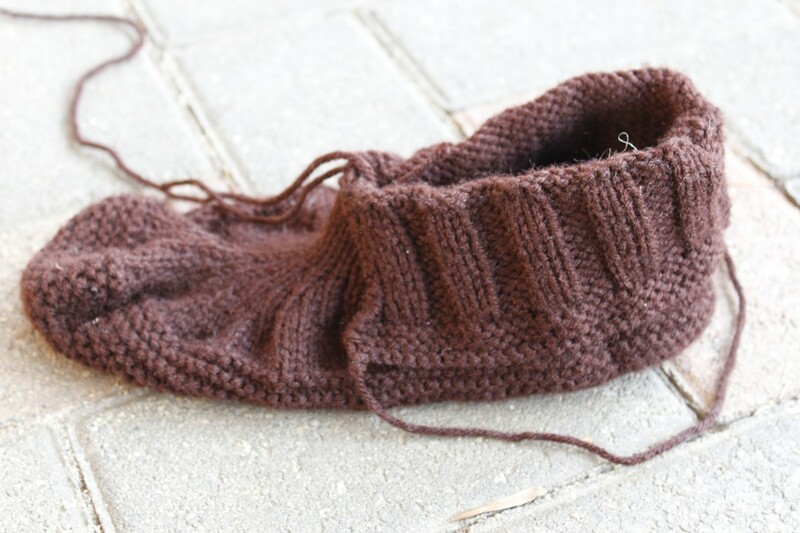 I sold several Sashay scarves over the holidays, was commissioned to knit a stocking and a pair of slippers. Right now I’m working on the slippers commission. 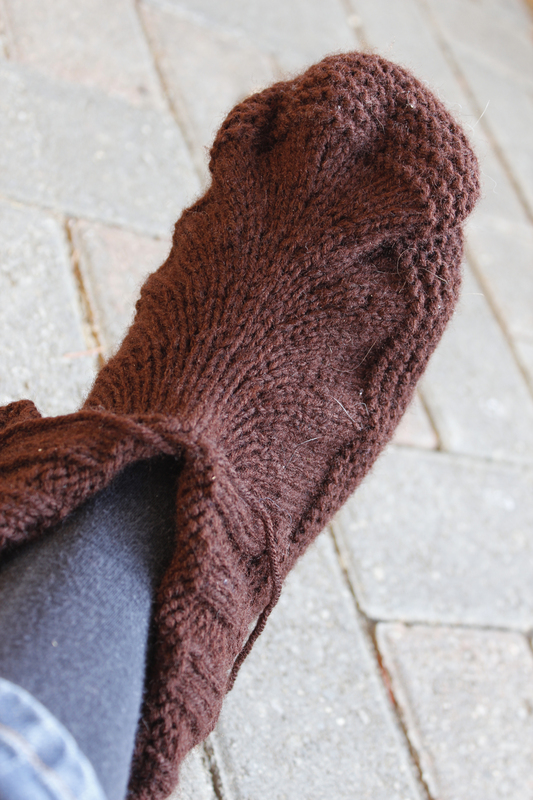 I’ve been knitting away on Moc-a-Sock Slippers by Bekah Knits for a friend’s boyfriend. It was a slow start, mainly because I tried to start them during the Christmas holidays and was distracted by all the other fun things going on. I think I will make a pair for myself to take with me when I visit people. My feet are always cold so having a pair of slippers on hand would be cool. I like these slippers because the moc-sock keeps your ankles warm. The slipper looks a bit funny on my foot because it’s supposed to be for larger feet then mine. Hope you find work soon. Tough times. Fingers crossed for you. Thanks Jackie. Times are pretty tough, but I’m managing. I did hear back that my contract will be renewed so that’s a good thing – hopefully they’ll have more hours for me.